It is the greatest time in history to be a writer. The barrier to publishing has been torn down and now anyone can get published. But to get published successfully is a whole other matter. Arielle Eckstut and David Henry Sterry take you through the entire publishing process. This step-by-step, soups-to-nuts workshop will remove the smoke and mirrors from the murky world of publishing and give writers a compass and map to a successfully published book. 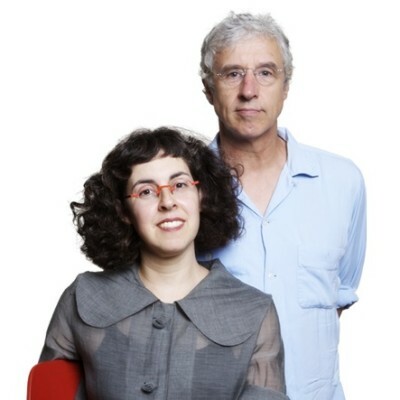 Arielle Eckstut and David Henry Sterry are co-founders of The Book Doctors, a company dedicated to helping authors get their books published. They are also co-authors of The Essential Guide to Getting Your Book Published: How To Write It, Sell It, and Market It… Successfully (Workman, 2010). Arielle Eckstut has been a literary agent for over 20 years at The Levine Greenberg Literary Agency. She is now the agent of Newberry award winner, Alexander. She is also the author of nine books and the co-founder of the iconic brand, LittleMissMatched. David Henry Sterry is the best-selling author of 16 books, on a wide variety of subject including memoir, sports, YA fiction and reference. His first book has been translated into 10 languages and optioned by HBO, his latest book was featured on the cover of the Sunday New York Times Book Review. They’ve taught their workshop on how to get published everywhere from Stanford University to Smith College. They have appeared everywhere from The New York Times to NPR’s Morning Edition to USA Today. Here’s what people are saying about The Essential Guide To Getting Your Book Published: “I started with nothing but an idea, and then I bought this book. Soon I had an A-list agent, a near six-figure advance, and multiple TV deals in the works. Buy it and memorize it. This little tome is the quiet secret of rockstar authors.”—New York Times best-selling author Timothy Ferris, The 4-Hour Workweek: Escape 9-5, Live Anywhere, and Join the New Rich.